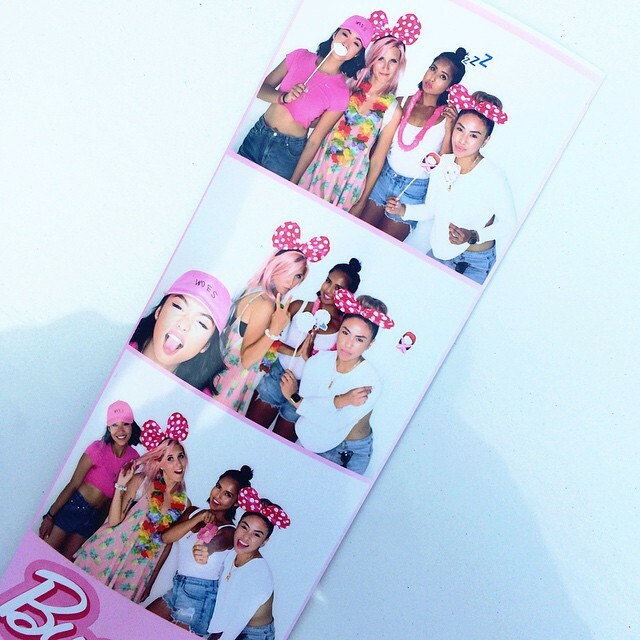 On Saturday, August 22nd, 2015, Hooked Co. and BURGERS AND BARBIE$ served up a Burger Pawty event filled with networking, creative expression, and loads of pink! Located at an industrial warehouse-turned-studio, District 28, is a hidden gem in the city which allowed for organizers and femme bosses extraordinaire, Jessica Lagman and Louise Mangalino to make a unique event come to life. It was a scorching hot day filled with bite-sized burgers of sorts, chilled beer, pink popcorn, and ice pops courtesy of Coco & Cowe Confectionary. Burger Pawty presented Toronto’s very first, female-driven burger event that showcased various aspects of the food world. “I know that bread and butter go together—but I also know that bread goes with other things, and that butter goes with other things," said Jessica Lagman of Hooked Co. "Food never disappoints, and does me no wrong. It’s a sure thing." With a passion for storytelling, the Hooked Co. founder pulls from different cultural influences to bring her personal experiences to life. Jessica served as the host chef of the event, showcasing burgers that best represent both brands, and most importantly, her gastronomic journey to date. 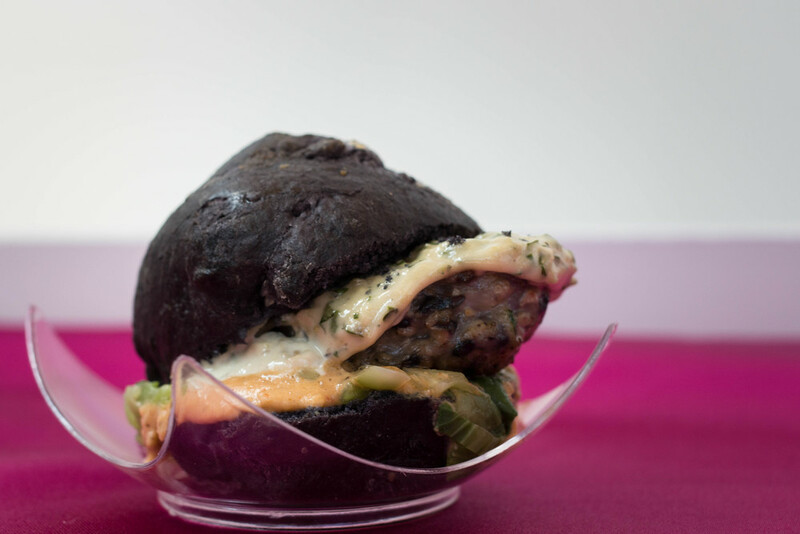 A homemade seafood patty, cilantro avocado aioli, spicy coconut sauce, baby bok choy and pickled red onion slaw on a unique charcoal black brioche bun. A spiced chickpea and sweet corn patty with a mango jalapeño lime sauce, roasted tomato jam and fresh arugula, served on a chive bun. A pink waffle bun with a hand pressed beef patty from Olliffe Butcher Shop, white aged cheddar cheese, pickled watermelon radish and their secret BB Pink Sparkle sauce. 4. THE HOOKED BURGER: Need We Say More? A hand pressed beef patty from Olliffe Butcher Shop, mouth watering pork belly, roasted garlic and sake caramelized onion aioli, crunchy romaine lettuce, their Hooked secret sauce and sharp cheddar cheese on a sesame brioche bun. 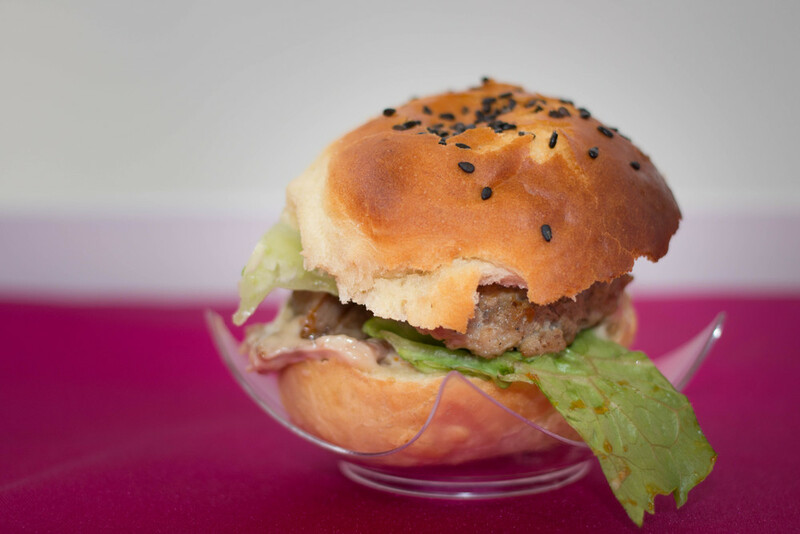 Throwing a collaborated event with BURGERS AND BARBIE$ gave guests the opportunity to see each female vendor in their element, as well as learn from them, as the experts of their craft and entrepreneurship. "There's nothing more beautiful than celebrating women and the power they embody," said Louise Mangalino, creator of BURGERS AND BARBIE$. "Burger Pawty in itself is a celebration and testament to all women: for their talent, their art, and for simply being." As guests mixed, mingled, and jammed to tunes courtesy of Andrea Yu a.k.a. DJ YuKnoDis, they were also open to expressing themselves through their favourite Emoji's at the photo booth station, and posing in a life-sized Burger Pawty Barbie box. If you missed out at this Burger Pawty event, don't fret because on October 17th, BURGERS AND BARBIE$ are planning another pop-up to end the year! Stay posted!